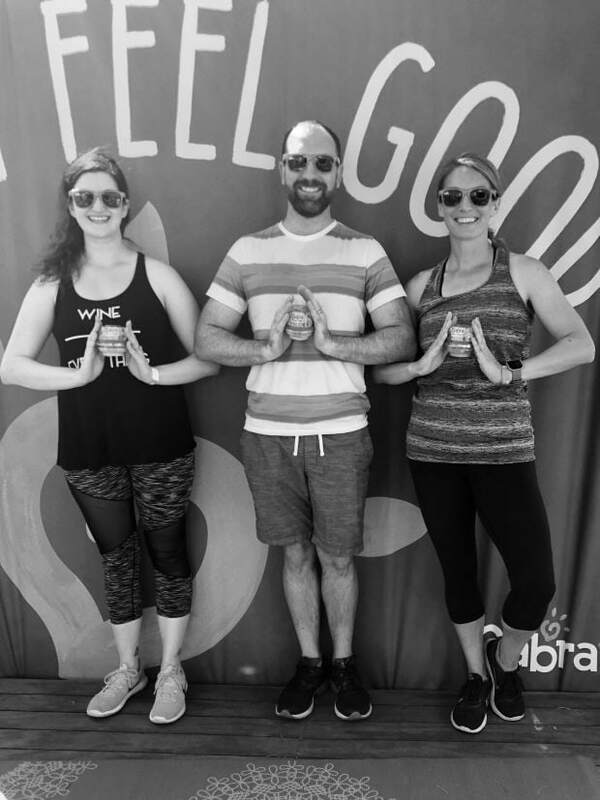 This weekend was all about getting wander-FULL at Wanderlust Festival! The festival made a stop in Denver and despite the sweltering heat, it was a fantastic event to wander around (with lots of hummus in hand, of course!). 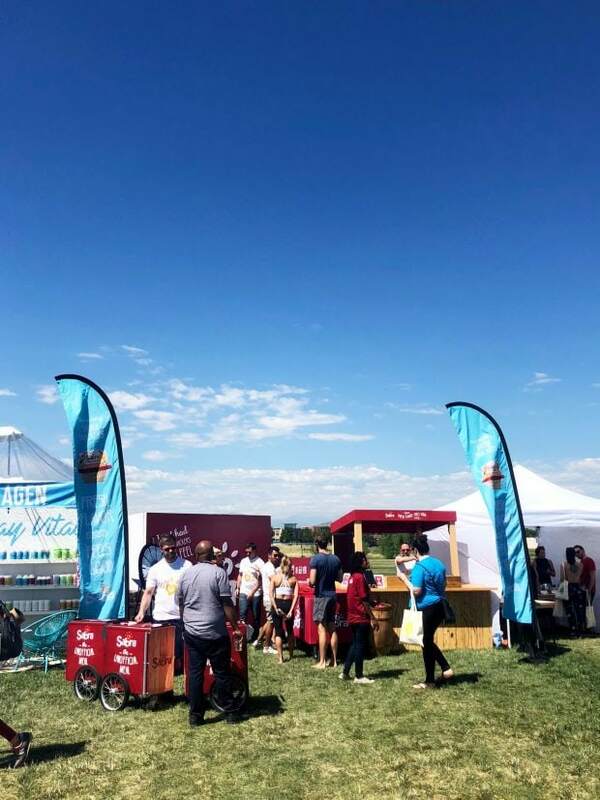 Denver is always full of crazy fun events, and this past weekend was no exception with the Wanderlust Festival 108 coming into town at Great Lawn Park. 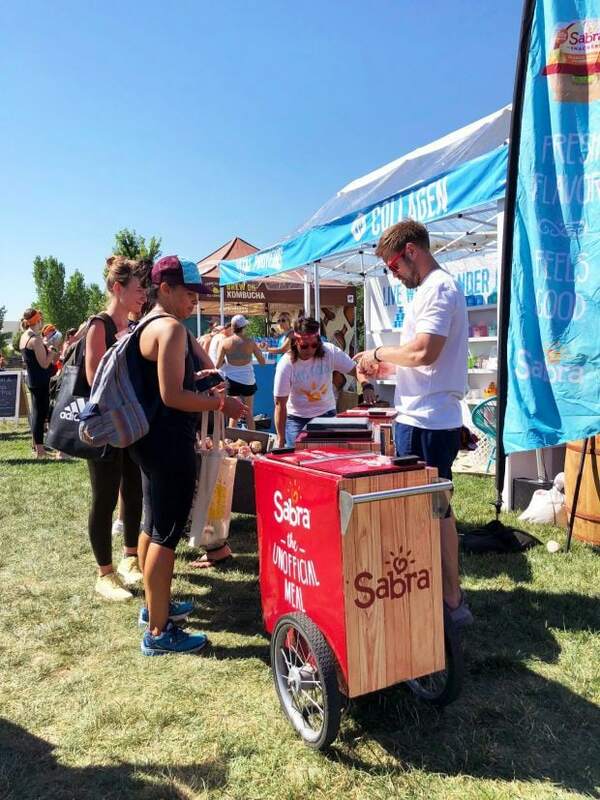 When Sabra invited me to check it out, it was a no-brainer to have the opportunity to be outside and connect with my community! 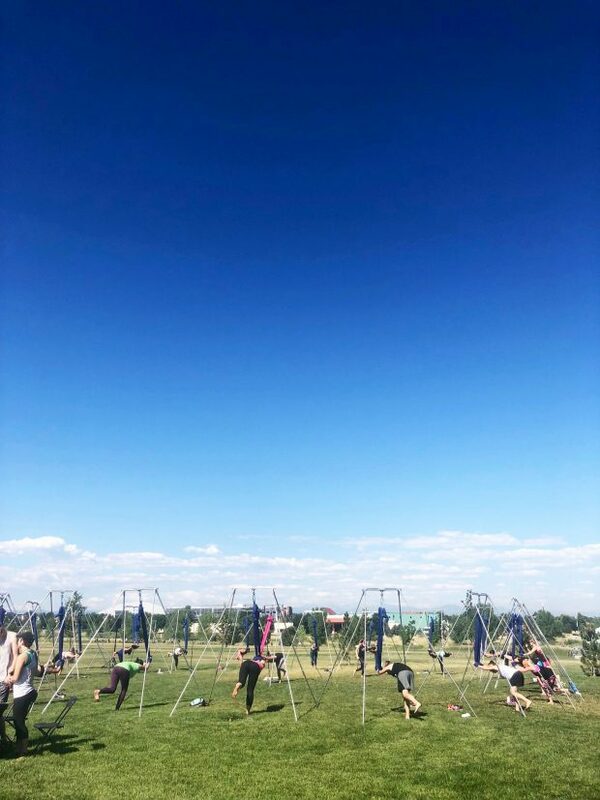 It was one of those blue skies kinda Colorado days, and even though it was intensely hot, it was such a cool event to be a part of! 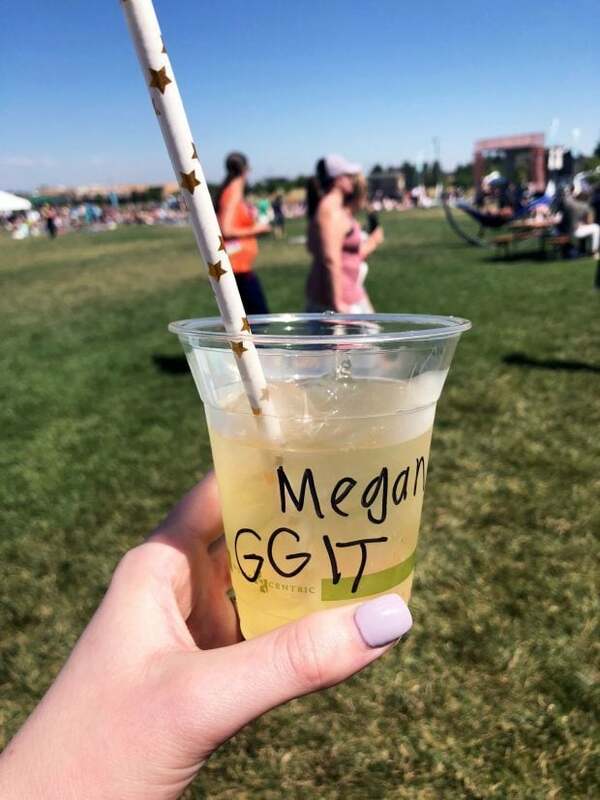 The entire day was filled with all sorts of events, from a 5K run/walk to yoga, tasty food samples and refreshing drinks (ice ginger green tea is my new favorite thing, by the way), meditation to aireal yoga, and so much more. 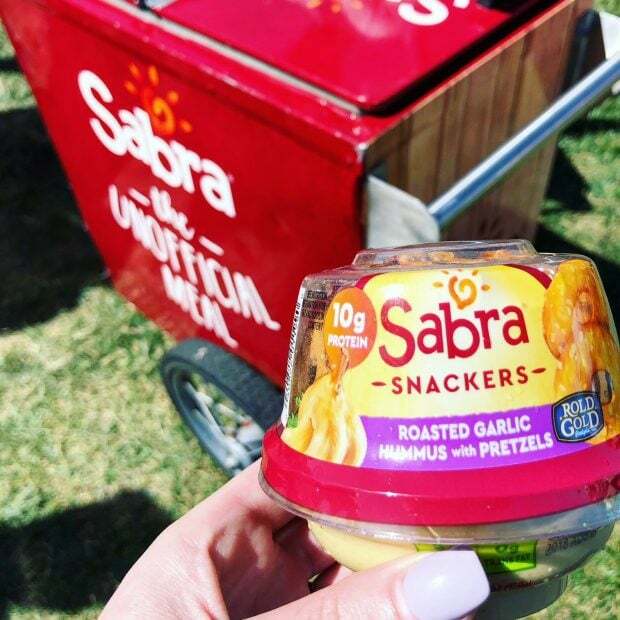 The whole event was made even MORE fun because of the tons of Sabra snack packs getting passed out from cute little cooler carts. There was Roasted Red Pepper Hummus with Pretzels, Classic Hummus with Pretzels, and Roasted Garlic Hummus with Pretzels so I stocked up on a few to keep me full and refreshed as I wandered through the various booths and events. I even ran into a couple of my favorite local food bloggers, Lauren from Climbing Grier Mountain and Nick from Macheesmo! Namastay with all the Sabra hummus, mmkay? The aireal yoga was one of the events that caught my eye. I wasn’t sure what it was all about at first, so I took a seat and watched a class happen – it looked SO cool. 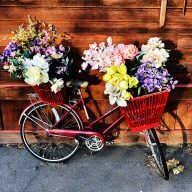 While I would totally have the fear of toppling the whole contraption over, I feel like that might be more of a yoga style that I could really get into, you know? It looked like more of a dance than a bunch of yoga poses in a row! After wandering around and getting wander-FULL (hahaha, get it? do ya? do ya? ), I felt like I totally scored with all the goodies that I packed in my bag. It was SO worth taking the time to go around to each and every one. I even found a couple of new products that I am really excited about trying at home! 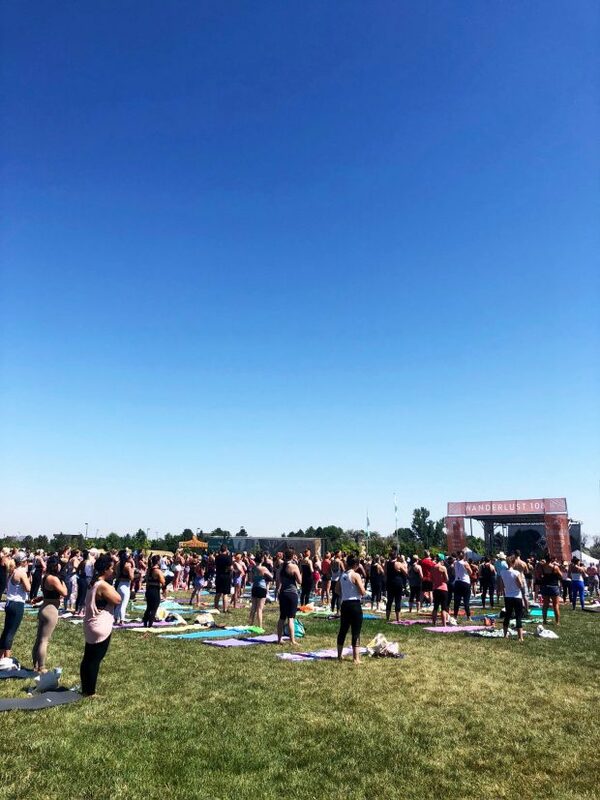 Even though I might not have tested my flexibility and grace on the yoga mats, there were hundreds of people stretching it out after completing the 5K run/walk. Pop on over the to the Wanderlust Festival’s site to check out where they are heading to next! 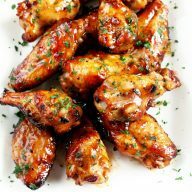 They have both single day and multi-day events to center you, so be sure to read all about them. 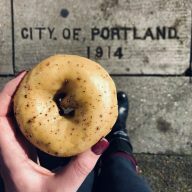 It’s perfect for those of you who are into being outside, yoga, meditation and scoring tasty goodies that will fuel your body, as well as keeping your taste buds happy. 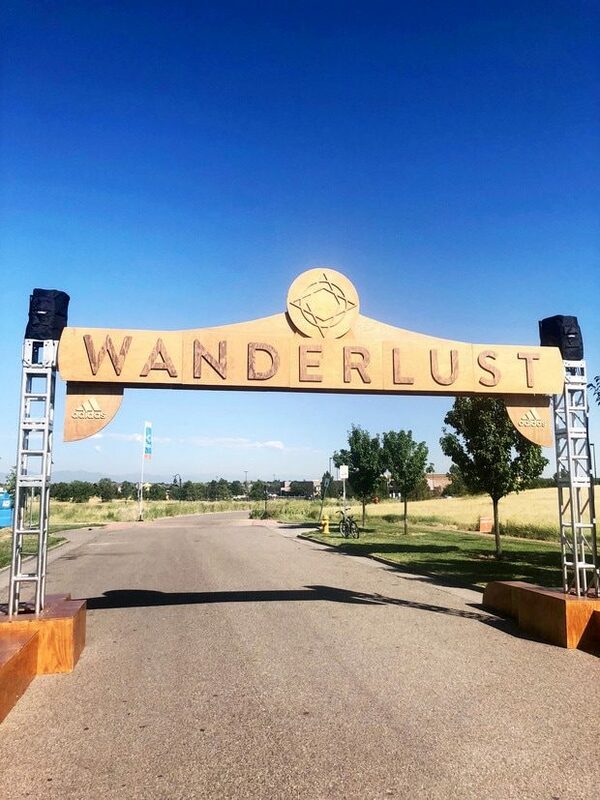 If you’ve been to one of the Wanderlust Festivals already, tell me what your favorite part was in the comments below!